We know that keeping a set schedule can be tough. Making the schedule is the easy part. The hard part is actually sticking to your schedule each day. With so many distractions bombarding us and a long list of people who need our time and attention, it’s easy to get off track and constantly live in a state of hurried frenzy, desperately trying to catch up and get back on schedule. The key to getting out of that state is making sure you set realistic goals and work hard to achieve them, while also giving yourself a little bit of grace when you need it. So today, we’re sharing 3 ways to help yourself stay on track. These are a few tried-and-true things that have worked for us, and we think they just might work for you too. Identify your obstacles. The first step to keeping a schedule is figuring out why you weren’t able to in the past. 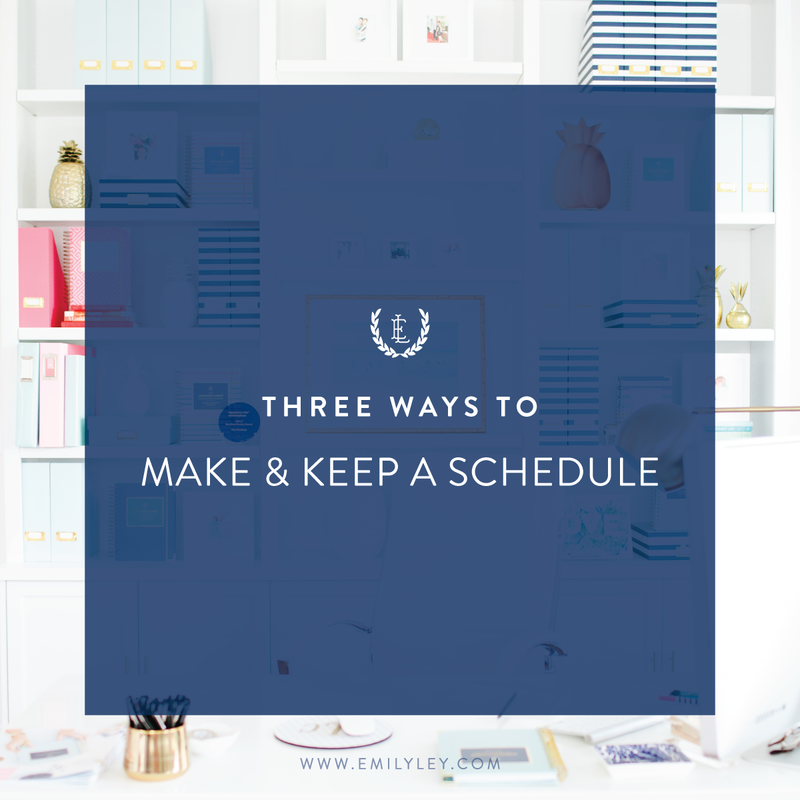 Was your schedule too demanding? Were you underestimating the amount of time it would take you to complete a task? Once you determine what it is that’s keeping you from staying on track, you can fix the problem and keep it from coming back! Write it down + keep it out. When you write something down, it creates a standard and gives you something to work towards. If your schedule lives inside of your head, you’ll be more tempted to slack off and get out of your routine. 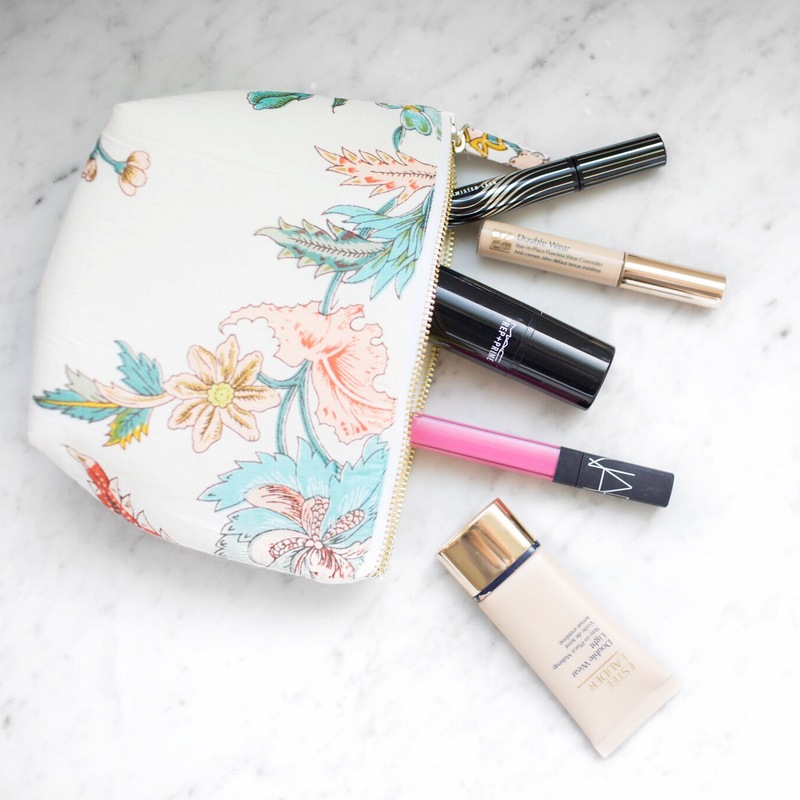 Keep it out where you can see it (in the kitchen, on your desk, in your purse, or wherever works for you! ), and look at it often. Just visually seeing your schedule throughout the day can do wonders for helping you stay on track. Give yourself some grace. Not every day is going to go how we plan it, and that’s okay! Being a good wife, mama, friend, and daughter means sometimes putting off your schedule to be there for your people. Remember: if you get off track, tomorrow is a new day. Don’t rent out heart or brain space to guilt. Get some rest, pick yourself up, and start again. You’ve got this.